In a case from the Washington State Supreme Court, plaintiff went to his doctor on September 1, 2011 because he had a painful lesion located on the bottom of his foot. The doctor with which he made an appointment was his primary care provider (PCP). Once his PCP saw the wound on his foot, which was the result of stepping on a sharp object, he referred the plaintiff to a podiatrist. The podiatrist saw the plaintiff that same day and diagnosed him with what he called a pyogenic granuloma. This is a benign (non cancerous) lesion. The podiatrist said he could either remove it with surgery or treat it with cryotherapy using liquid nitrogen, as they often do when trying to remove warts from patients.The podiatrist said be preferred to use the surgical option, but the patient decided to use cryotherapy, as that was the more conservative treatment option. The podiatrist froze the lesion and told plaintiff to come back for a follow-up appointment in ten days plaintiff did not return in ten days, despite the podiatrist’s medical recommendation. About 16 days following his visit to the podiatrist, the plaintiff was still in pain and called back for a follow-up appointment. When he went back to doctor, an MRI revealed that not only had the lesion not gotten smaller, it actually increased in size. The doctor decided that now it was only a surgical case and recommended a biopsy. However, the plaintiff did not want to agree to surgery without first talking with his family. About two weeks later, plaintiff went to see a dermatologist. This dermatologist performed what is known as a punch biopsy. This uses a hollow punch to remove a cylinder shaped section of tissue containing the sample. The results came back as melanoma, which is a type of skin cancer. Two weeks later, the tumor was removed via a surgical operation. Unfortunately, the melanoma returned, and radiation therapy had not worked to stop or even slow its growth. As a result of this, doctors had to partially amputate plaintiff’s leg. 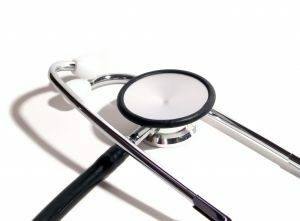 He filed a medical malpractice lawsuit against this doctor and said that quicker diagnosis would have resulted in a 40 percent chance that his cancer would not have occurred. As our Boston personal injury attorneys can explain, this case is dealing with what is known as causation, which is further broken up into actual and proximate causation. In pretrial rulings, the court found the “but for” causation test was appropriate in this case, but that it was not appropriate to apply contributory negligence against the plaintiff. The reason for this is because the lower court felt that plaintiff was presented with two options and chose one of them. The court ultimately affirmed the decision that the but for test was appropriate in this case, but not the denial of defendant’s contributory negligence defense. Essentially this means that the jury will be able to hear how the plaintiff did not come back to the doctor in ten days as he was instructed to do.